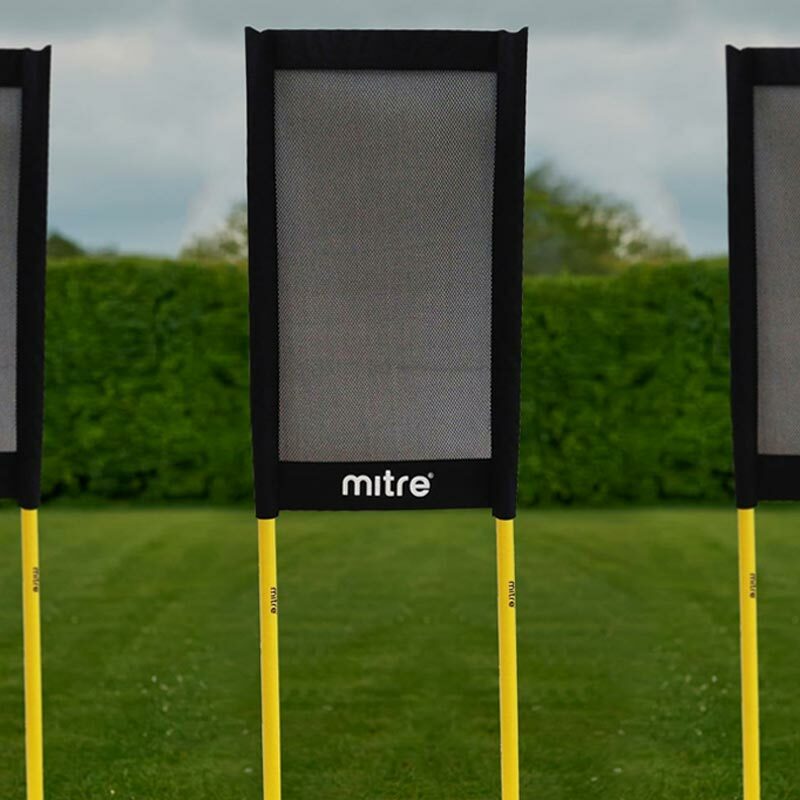 The Mitre ® Folding Free Kick Dummies are essential for training, they form an effective barrier between the penalty taker and the goal mouth and can be used for dribbling skills. 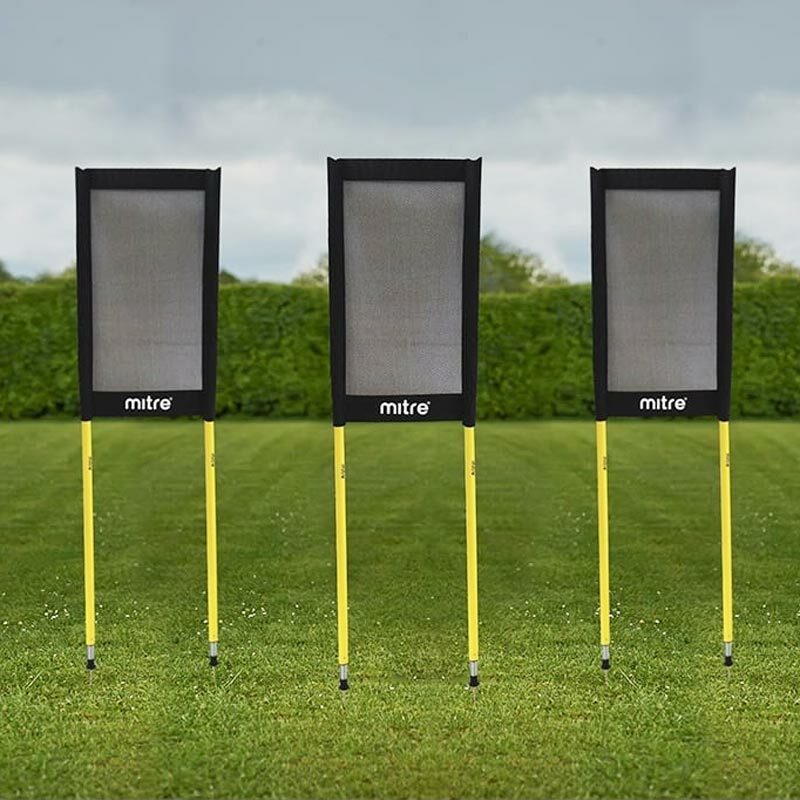 Set of 3 free kick dummies. Poles can be used for training drills; agility training/change direction. Complete with carry bag for ease of transport.